Lot Detail - Colorfully Printed Magnus Song Sheet. Colorfully Printed Magnus Song Sheet. Excellent war-date Charles Magnus printed song sheet, 1pp. 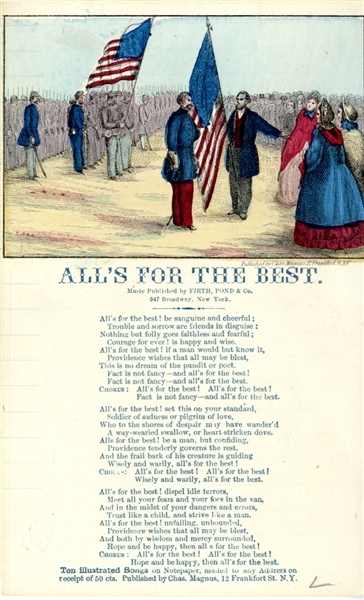 octavo, “All’s For The Best” hand-colored, with lyrics. Fine condition.